Benalla Kids Trundle Bed with Storage This bed comes complete with trundle and wraparound stora..
Bunk Bed Compact Mid/Low Height It's no wonder that low height mini bunk beds are gaining in po..
Bunk Bed Mid Height with built in BookshelfSpecial low/mid height bunk bed designFits standard singl..
Bunk Bed with built in Bookshelf & optional trundle or drawersFlexible bunk bed with many differ..
Space-saver Compact Loft Bed with Open ShelvesThis bed is just like our other Compact Space-saver ca..
Spacesaver Compact Loft Bed Cabin style, low height, loft storage bed. Your kids will love this ..
Cubby House Bunk / loft Bed With Open ShelvesRaised bunk bed design with Bookshelf at the end near t.. Double Trundle bed with Extra storageMattress base is designed with our own unique "rigid suppo..
High loft bed with Open Shelves & Optional Drawer DeskRaised bunk bed design with Bookshelf at t..
Kialla Trundle Bed - with built in storageThe Kialla bed not 1 but 2 cupboards in the bed head.. Single Trundle bed Mattress base is designed with our own unique "rigid support" system.&n..
Spacesaver BedSpecial space saving loft/cabin style design. 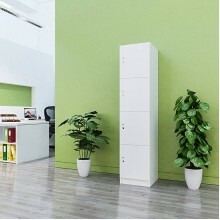 Maximise your bedroom space with multipl.. Triple Bunk Bed - Single over double bed with built in bookcase + Optional Trundle Innovative.. Triple bunk bed with Storage & Open storage shelvesNeed to fit three kids in one room? Looking f.. 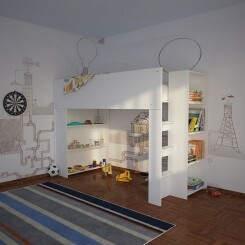 Kids Bedroom Package Deal This package deal includes a great pack to set up a new bedroom.. 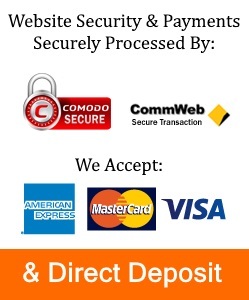 Bedroom Package Deal This package deal includes a great pack to set up a new bedroom, and is pr.. Bedroom Package Deal This package deal includes everything you need to set up a new bedroom pri..
Buy kids beds direct and save! 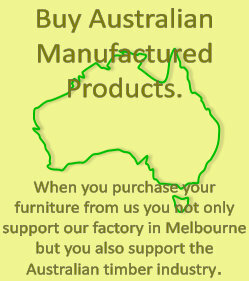 At Fitting Furniture all our furniture, including our kid’s beds have been designed in Australia and is made here in Melbourne with Victorian beautiful plantation pine-board. Whatever you are looking for in children’s beds, we are sure to have the right kids bed for you. Our unique range of beds for children includes kids single bed options, kids beds with desks, kids trundle beds with cleverly designed built in storage cupboards and shelves, and great space saving beds for kids. We also have an extensive range of versatile, quality kids bunk beds including low-line bunk beds, bunk beds with desk, bunk beds with storage and even triple bunk beds and more! If you are looking to freeing up floor space in your children’s bedroom then why not look at our space saving loft bed options? 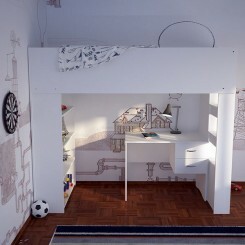 A loft bed is an elevated bed similar to a bunk bed, but without the lower bed. Loft beds, which are sometimes referred to as cabin beds are perfect for freeing floor space for other furniture. 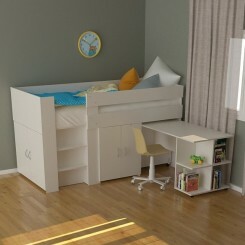 Our kids loft beds have some great options including loft beds with storage and loft beds with desks. We even have king single loft beds! 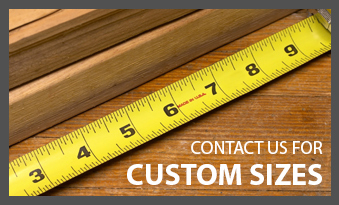 At Fitting Furniture all of our children's beds are manufactured to the highest quality control and standards using the latest in automated computer-controlled equipment. Feel free to ring us direct on 1300 835 841 if you have any questions or require any further information about our about extensive range of kids beds.